I am a DIY bride through and through because 1. I would like to believe that I am perfectly capable of doing everything on my own but really 2. because it’s so much cheaper that way. 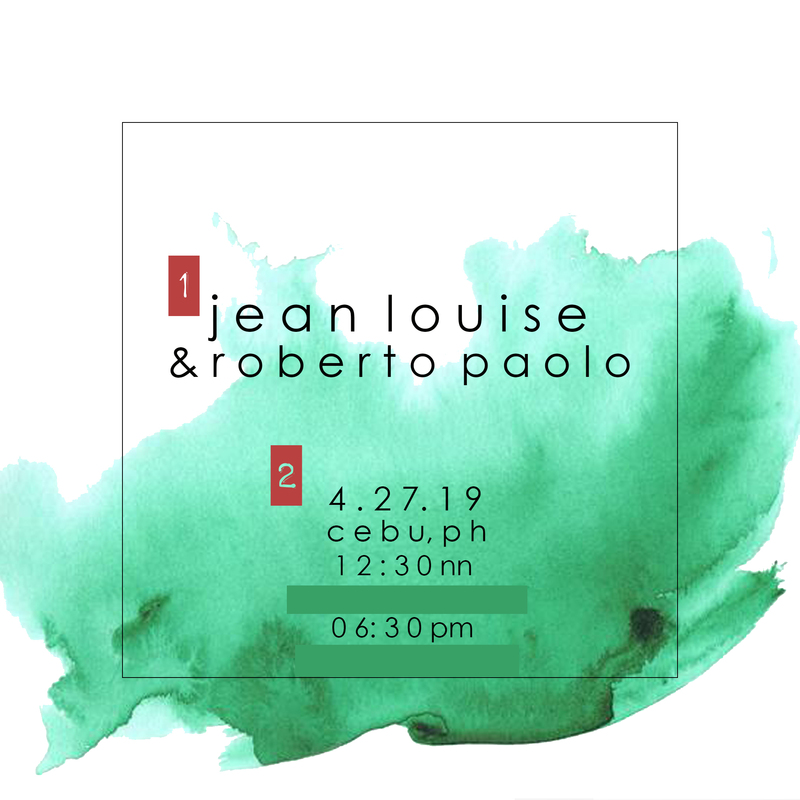 If our wedding invitations were not gifted to us by Paolo’s brother in law who works in the printing industry (Thank you soo much, btw. We are soo super grateful!) then I would’ve went ahead and printed our invitations on my own using my handy dandy Canon e470 that was gifted to me a couple events ago but we can all imagine what a nightmare that would’ve been! Also, I am a VERY fickle minded person and I felt like no designer could deal with my unending uncertainty and since I know how to work my way around Photoshop anyways, it just made sense that I torture no one else but myself. Needless to say, I made A LOT of mistakes with our invitations because who cares about details anyways but I also did a lot of rights which I am going to share with all my fellow thrifty brides today! So I hope this helps! Like everything else in regards to your wedding, it’s always good to start with an idea. I tried to be as original as possible and started sketching on pen and paper but later realized that I’m not as creative as I thought I was so I quickly turned to Pinterest. Ladies, if you’re not on Pinterest by now- are you even getting married?? Of all the amazing invitation pegs there I gravitated towards the first three photos below. Basically I wanted it to be as quirky as the first photo, as simple as the 2nd and as informative as the 3rd WHILE incorporating the 4th photo which is basically the template for Filipino wedding invites. Lastly, it had to be a design that I would be able to print and create on my own or something that was at the lowest cost if I had it printed elsewhere. Here are the designs I started with. Please if may mas gusto kayo compared to our actually invites, wa’g nyo nang e sabi. Masasaktan lang ako. LOL. I’m not super sure HOW important this step was but I had just imagined it being easier just in case I had the invitation printing outsourced. In the end, deciding on a STANDARD invitation size worked out for the best for us because we no longer had to spend on custom made envelopes and were able to buy ours at our local bookstore. I spent P85.00 on a set of 10 envelopes so yey! STEP 3: Get your creative juices on! I’m such an over thinker that it literally took me 5 months to decide on our invitations only for it to look like this. HAHA. I mean I’m not crazy about my work but honestly, I don’t really care about invitations anyways but the point was to be able to have formal invitations for our families. Paolo and I don’t really have a theme for our wedding cuz like, is it really that important?! But when people ask, I just say Bario Fiesta because we wanted to go with something colorful because we’re “colorful” people. If black was actually a color, sure. joke lang. Masayahin naman ako misan noh. 1 OK so dito masaya, noh? Apparently my invitation layout is wrong and all the invites have been printed so whatever but APPARENTLY, the GROOM’S name is supposed to come FIRST followed by the BRIDE’S. But I was basing it off the Pinterest invitations wherein the bride’s names come first. Paolo and I were super meh about this “mistake” though. Not like we can’t get married cuz of it. So in the end, who really cares?! 2 Our coordinator instructed us to place the time 30 minutes before the events especially for the church. If your wedding starts at 1, the church mass will for sure start at 1 and you don’t want your guests walking in while your walking down the aisle. Alam mo friend, filipino time. Same goes for the reception. 3 Make sure all your names and titles are correct. You don’t wanna hurt anyone. Just a screenshot of my working space. May math included pa.
All in all, we are very happy with our actual invites. I honestly feel like Limtong Press gave us invitations that we didn’t deserve because they gave us fancy paper and we’re just bond paper people. LOL. I fully acknowledge and accept that invitations will eventually be thrown away (I personally do NOT keep wedding invites) but Paolo and I will definitely be keeping (and FRAMING) ours. Issa P. SO CLOSE TO BEING A G.